So I thought I would try to make pot stickers again. Last time they fell apart. This time around, it turned out a little better. The dough was a little thick and chewy, but overall still pretty good. 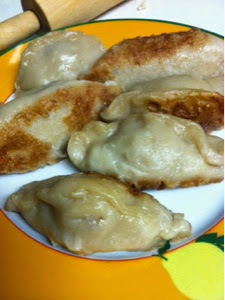 Your Pot Stickers look amazing! Thanks so much for sharing with Full Plate Thursday and have a very special Christmas week!